If you are a homeowner you know that the to-do list for things around the house is never ending. This project has actually been on the list for over a year now. 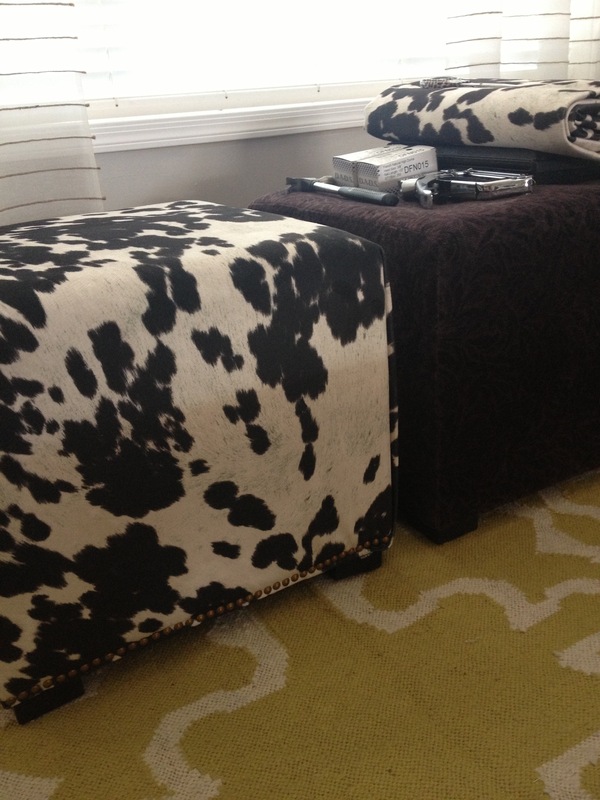 It took me awhile to decide on the fabric and I finally went with a faux cow hide. The cow hide acts as a neutral fabric in my style, so I have the flexibility to move these into another room if needed (or I just get bored with them in the family room). This week’s video will show you the steps on how to recover an ottoman and add a nailhead trim. When looking for fabric make sure it is wide enough to cover both sides of the item you are upholstering. Make sure you are pulling the fabric really tight to create smooth lines. The whole process is like wrapping a present.